This week, Your News to Know brings you the latest stories involving gold and the overall economy. Stories include: Gold will remain healthy in the the next 30 years, gold to battle the “perfect storm” amid Fed focus, and gold is in the early stages of a new bull market. Kitco reported a recent study by the World Gold Council shows why gold investors may be tempted to hold bullion over the next 30 years. The study analyzed gold’s expected performance in the next three decades, taking into account both the metal’s technical picture and the broader market. As the global picture remains heavily influenced by risk and uncertainty, gold should continue along the beaten path and serve as the optimal safe play. The gold market could be helped along by numerous macroeconomic and geopolitical factors, as well as a revitalization of the ways to buy and store gold. With bullion-backed digital options becoming available, those who were previously locked out of gold investment will become eligible to safely store the precious metal. Nonetheless, John Reade, WGC’s head of market research, expects the standard bullion market to hold its strength, driven by traditional demand for coins and bars from China and India. Regarding comparisons with digital assets, Reade underlined why gold has little competition in the category of long-term investments. Compared to the yet untested cryptocurrencies, the metal’s millennia of positive track record affirm it as an asset class with real value over considerable time stretches. In the absence of significant economic data, Kitco says the gold market is focused on potential takeaways from the June 13th Federal Reserve meeting. The consensus is that the rhetoric from Fed officials could play a big part in determining gold’s price over the next few weeks. Despite numerous headwinds that have kept it in check as of late, gold has multiple avenues through which it could move up. One avenue would be an excessively bearish position by the Fed manifested by a delay in hikes or overt references to geopolitical tensions. Simona Gambarini, an analyst at Capital Economics, told Kitco that the gold market usually has a much stronger reaction to a major round of tensions, whether trade or nuclear arms-related. Gambarini added that the dollar’s picture remains the deciding factor when charting out gold’s performance in the near future. Regardless of the stance taken by the Fed, Gambarini thinks gold will remain in a good spot so long as the greenback’s gains are kept in check. Ryan McKay, a commodity strategist at TD Securities, says good things will happen in the gold market should the Fed temper its approach. Real rates usually have a bigger impact on gold’s price movements than nominal rates, and McKay thinks real rates will be kept down by possible dovish statements from the Fed. As gold trades closely around the $1,300 level, Kitco says the latest annual report by Incrementum AG sees several catalysts that could push the metal higher. According to Ronald-Peter Stoeferle and Mark J. Valek, authors of the ‘In Gold We Trust’ report, the metal’s tailwinds are so significant that it could soon transition to a bull market. The analysts listed a change in monetary policy as the first catalyst behind a potential upswing for gold. As market participants shift their attention towards the upcoming Fed meeting, Stoeferle and Valek feel that investors haven’t really come to grips with the idea of monetary tightening. “The reversal from [quantitative easing] QE to [quantitative tightening] QT has provoked remarkably little attention in public discourse. However, the consequences of this monetary U-turn could be dire, because the monetary amphetamine that prevented a relapse into crisis in the post-Lehman era has come with numerous side effects,” they said. Other tailwinds could include a shift away from the U.S. as the dominant monetary force in the world. The loss of the dollar’s importance will be accompanied by the economic resurgence of several nations, each of whom would vie for the most favored spot. 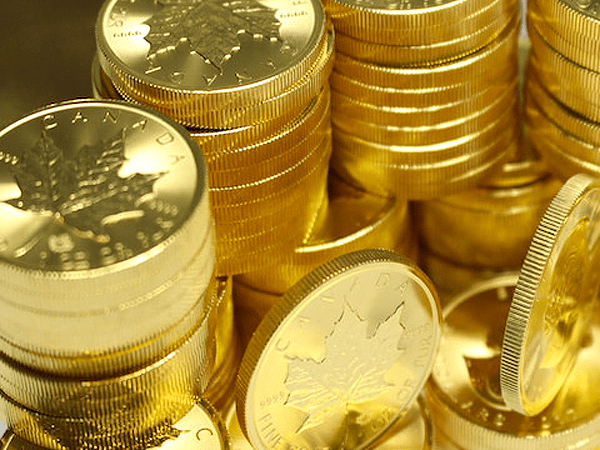 This could heavily impact gold prices as a divisive rhetoric, which would both erode the dollar’s purchasing power and inflate prices of goods in the U.S.
Stoeferle and Valek also see technological advancements as supportive of gold prices, adding that the introduction of cryptocurrencies can be seen as beneficial for the metal. The popularity of digital assets brought the markets closer to digitalization and appears to suggest a built-up distaste for fiat currencies. Besides an optimistic long-term outlook, Stoeferle and Valek also see numerous ways for gold to post gains in the short term. One gold-favored scenario that the analysts present involves an inflationary boom where growth and inflation exceed 3% each. Here, Stoeferle and Valek expect gold could reach prices between $1,400 and $2,300 an ounce as the Federal Reserve struggles to achieve monetary normalization. Another scenario presented has to do with economic stagnation and subdued growth. Should the Fed find itself forced to halt or backtrack on its current trajectory, gold could see gains that push it between $1,800 and $5,000 an ounce. Stoeferle and Valek added that the current landscape is highly positive for the metal due to the increasing likelihood of a recession. Gold could have some of its best performances as the markets slip into a tightening-fueled recession, which the analysts say might happen in the next 6 to 24 months.